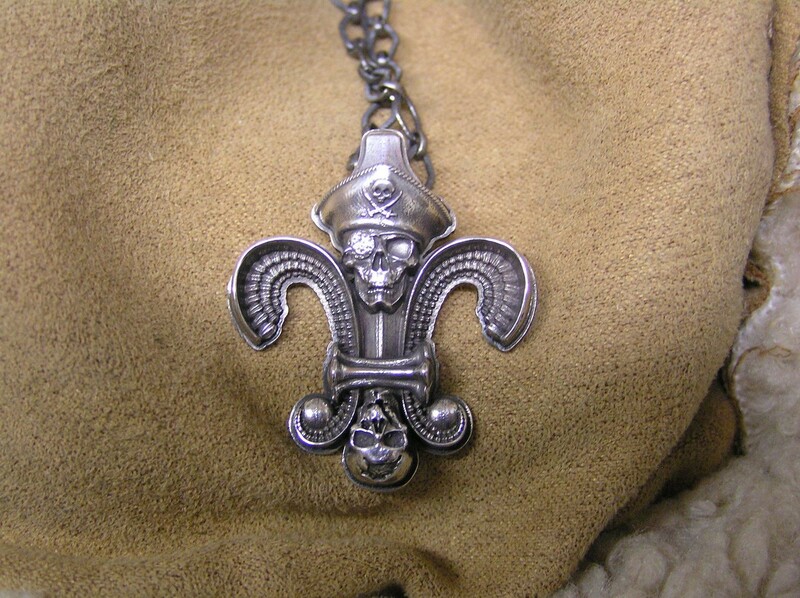 A fleur di lis pendant with a pirate twist. The top center is a pirate skull, complete with eye patch and pirate hat, bottom center is an upside down skull. The side petals are actually composed of feathers, and the 3 parts of the fleur are tied together with bones. 27 mm wide x 33 mm high. Sterling silver. Design Notes: This is another piece we designed for the New Orleans Pirate event. I couldn't help turn the beloved symbol of NOLA into a pirate symbol. 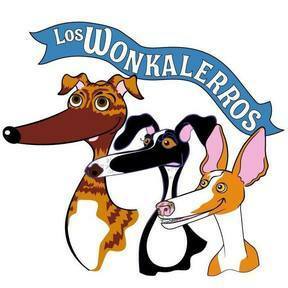 This ended up serving as the logo for the event, and we had this design tattooed while we were in the Crescent City.